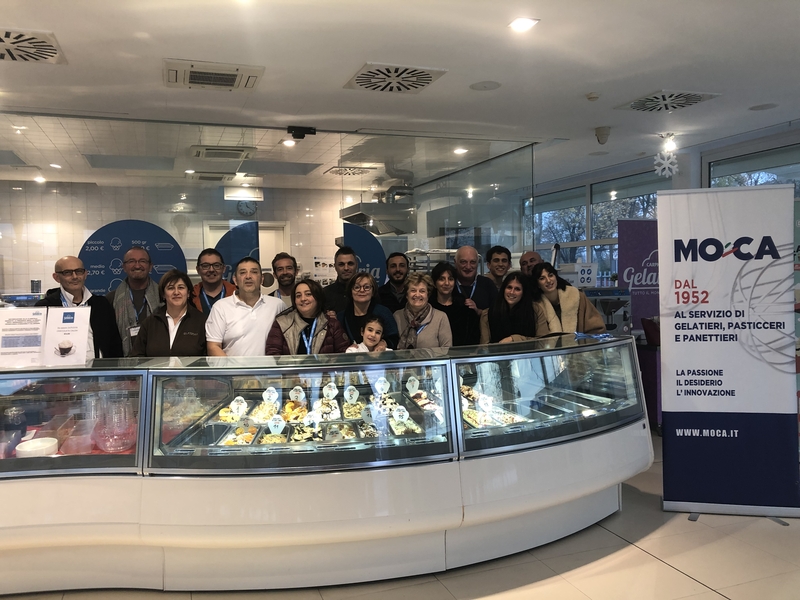 On Monday, I attended, as part of the jury, the Emilia-Romagna edition of the Gelato Festival Italian Challenge, a ‘gelato competition,’ organized by MO.CA. and Carpigiani, the leading manufacturer of gelato machines and creator of Gelato University in Bologna, a training school for artisanal gelato. As a member of the jury, I was tasked with tasting and evaluating 18 flavors of gelato prepared by 18 gelato chefs of Emilia-Romagna to select the three winners who will proceed in the competition, which will see the finalists compete at the Gelato Festival World Masters in 2021. When you taste gelato, there are several criteria to keep in mind, just as when you taste wine or olive oil. 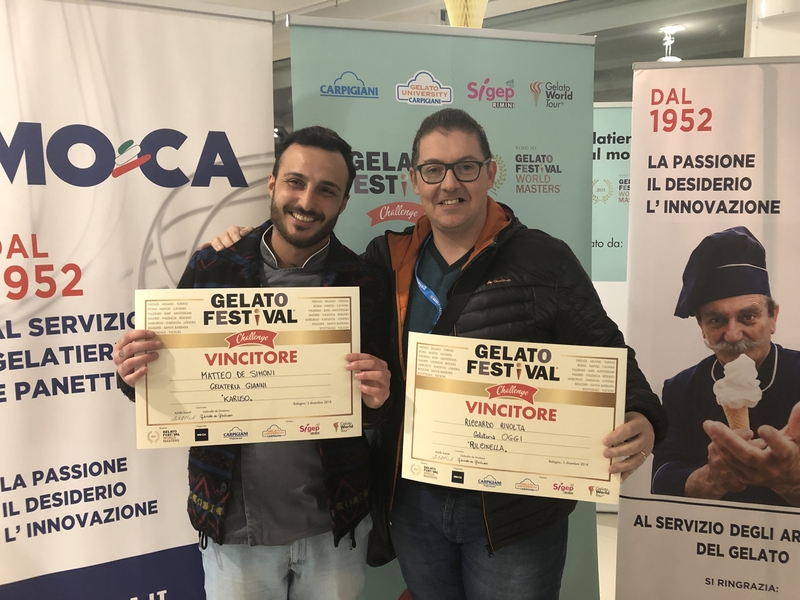 Taste, structure, creativity and presentation were the four guidelines we were called to evaluate during the competition, guided by gelato master Andrea Bandiera, a teacher at Carpigiani Gelato University and owner of Cremeria Scirocco, a top gelateria in Bologna. Particular importance was placed on the choice of ingredients, the mastery of the artisans in elaborating the recipe and the overall result evaluated through sight, taste and smell. You can pretty much do the same when you enter a gelato parlor to determine if the gelato you’re ordering and eating is indeed artisanal. Remember, signs such as ‘gelateria artigianale’ are no guarantee that the gelato actually is artisanal (it’s enough to prepare gelato on premises to obtain that label, but that doesn’t mean that gelato is handmade, it could still use pre-prepared industrial gels and mixes). Here are the elements you should be considering. The first factor to consider is visual. Mainly look at two aspects. First, if you see huge piles of gelato coming out of the bin in the display freezer, be wary. Despite being above the ‘cold line,’ the point where the refrigeration system doesn’t reach, gelato doesn’t melt, as it should if it had been made according to the rules. This could mean that hydrogenated vegetable fats, which withstand higher temperatures, were used in the recipe. You don’t want those in your gelato. Second, the color of gelato must be natural. If you see very bright colors, it’s likely that artificial coloring were used. This is particularly evident with fruit flavors. When processed, fruit naturally oxidizes a bit and the vivacity of the color tends to fade at low temperatures. As an example, banana, when natural, looks greyish/white, kiwi a muted green, pistachio shouldn’t be green, but brownish. Also, if it looks shiny, it means that there are too many sugars (and it’ll taste too sweet), or that it's oxidized (it's not fresh). Gelato shouldn’t give a sensation of bitter cold when you put the spoon in your mouth. If it does, it means that the recipe was incorrectly balanced (poor absorption of air). Gelato shouldn’t be too warm either, like mousse; in this case it could mean excessive absorption of air. Like wine, gelato too has a body, which you feel on your tongue. Body is connected to temperature: a cream that is too light, too skimmed, hasn’t used enough milk and/or cream, and it’ll also feel too cold because water will prevail. If the palate feels greasy, it means that the gelato maker has saved on ‘noble’ fats like milk, butter and cream to use artificial fats. Gelato contains tiny crystals that should result in a structure that feels soft and smooth on the tongue. This sensation tends to diminish with time because the natural ingredients contained in artisanal gelato like water, sugars, proteins, fruit, oilseed pastes like hazelnuts or pistachios remain balanced only when fresh. When gelato isn’t fresh, it tends to lose these qualities, even if was made according to rules. The best gelato is the one made and eaten on the same day. The presence of large crystals – sort of grainy small frosts - may be an indication of gelato that isn’t fresh or that is stored at the wrong temperature, because water gradually unties and re-crystallizes. It seems obvious, but the hazelnut taste should taste like hazelnut, lemon like lemon, and so on. Every flavor must be recognizable in its individuality. 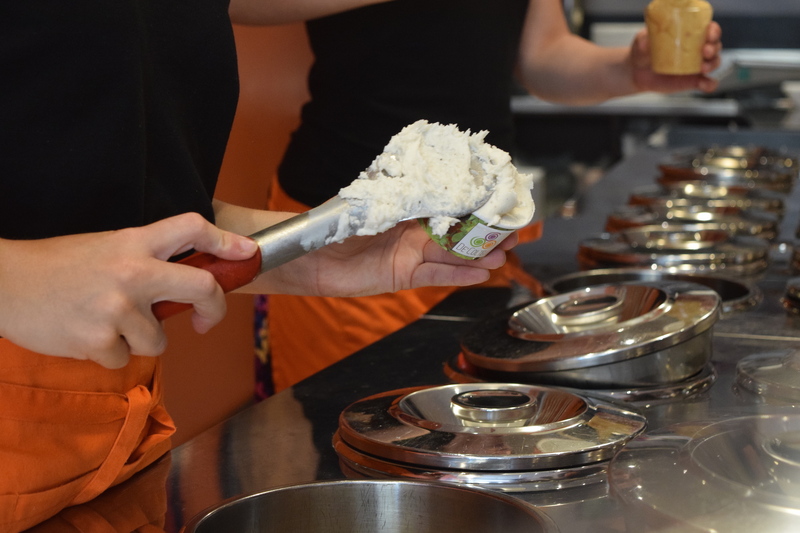 When gelato isn’t handmade or in any case not well made, all the creams tend to taste the same, because they’re prepared starting from the same base, to which the specific ingredient is added at the end. Each flavor must have its own personality and the taste should not immediately fade away - it should stay in the mouth for a while. Finally, look at the ingredients list, which should be affixed and clearly visible. The fewer the ingredients, the better. There should be no chemical acronyms and additives. Also, if you see a fruit flavor of a fruit that isn’t in season, that’s also a negative sign. The Gelato Festival is now in its 9th edition, having made its debut in Florence in 2010 inspired by the history of the first gelato recipe invented by Bernardo Buontalenti in 1559. Since 2010, the event has expanded to the rest of Italy first, then Europe and, since 2017, the United States, for a total of 64 festivals so far. Gelato Festival World Masters 2021, the world championship of gelato, will involve 5,000 gelato chefs from around the world. Follow the competition at https://challenge.carpigiani.com/en/home and http://www.gelatofestival.it/en. Gianluca Mosconi and Roberto Pesaresi, gelateria Sweet Line, Savignano sul Rubicone (FC) – flavor ‘Marlene’. Matteo De Simoni, gelateria Gianni, Bologna – flavor ‘Karuso’. Riccardo Rivolta, gelateria OGGI – Officine Gusto Gelato Italiano, Bologna – flavor ‘Pulcinella’.